Elevate your daily grooming ritual. 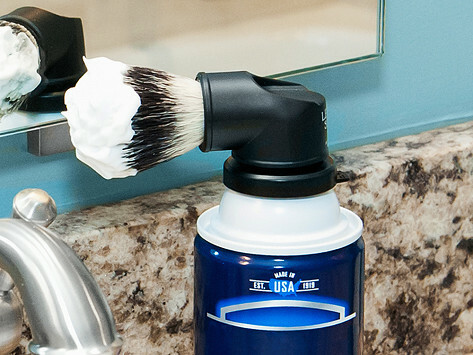 Attach this shaving brush to any shaving cream or gel can to dispense and apply a smooth, rich coat in a single motion. The bristles stimulate your follicles for a closer, cleaner shave. You’ll use up less cream or gel, create less mess, and infuse your mornings with a vintage vibe. I was looking to buy a shaving brush when you offered this. I use it daily because it serves 2 functions (lathering and soap). I really like this product. It works very well. 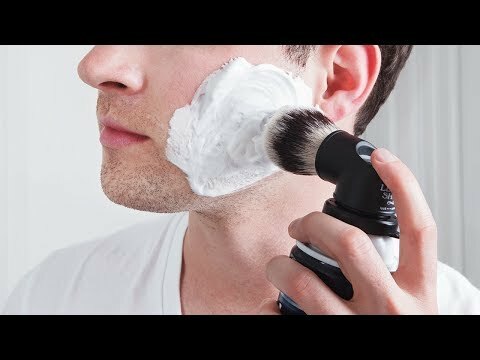 fantastic idea for Men or women who use shave cream. This shaving brush fuses vintage vibes with modern functionality, transforming an everyday chore into an anticipated ritual. The Evolution Brush attaches to the top of any shaving cream or gel can, so you dispense and apply in a single, smooth motion. It creates a rich, even layer of cream or gel, lifting the hair follicles for a closer, more comfortable shave. Because you’re not using your hands, there’s virtually zero cleanup—and you’ll save shaving cream or gel, too. This heritage-infused tool is as convenient as it is fun to use.